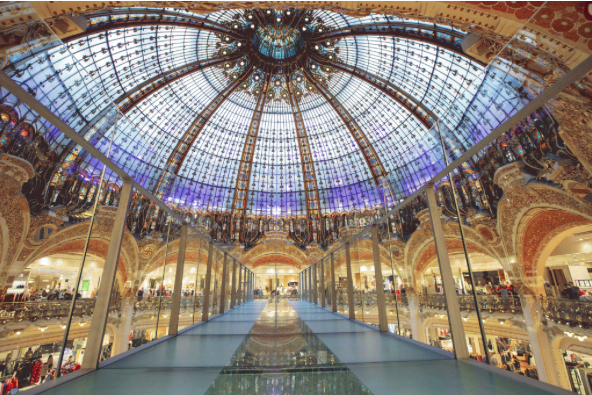 Galeries Lafayette, built more than 120 years ago, is certainly one of the most beautiful department store in the world. 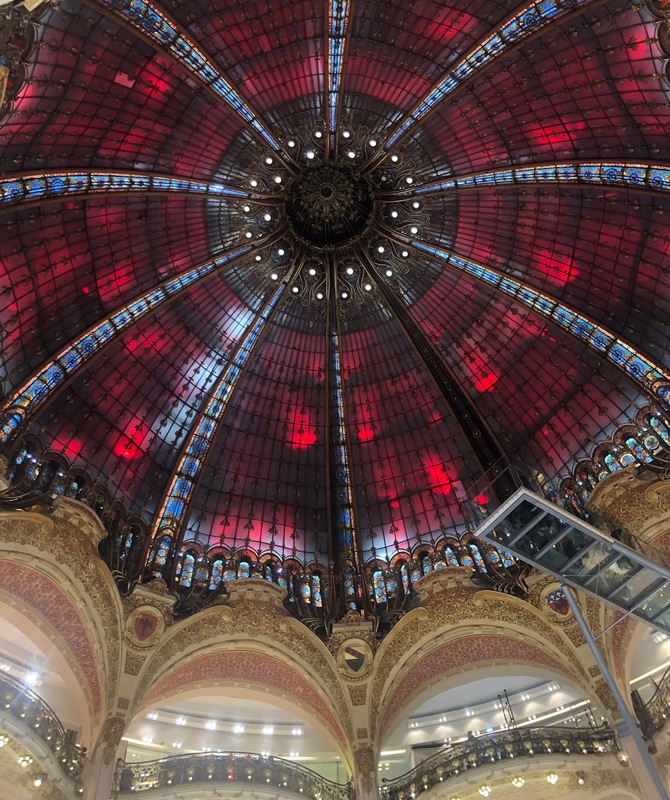 Its Art-Nouveau dome is just magnificent. The best place to admire this fabulous dome is from the 9-metre long glass walkway suspended 16 meters high in mid-air and accessible form the 3rd floor of the main building. The end of the glass walk goes right under the center of the dome. Perfect to admire the dome but also the architecture of this amazing 19th century building.